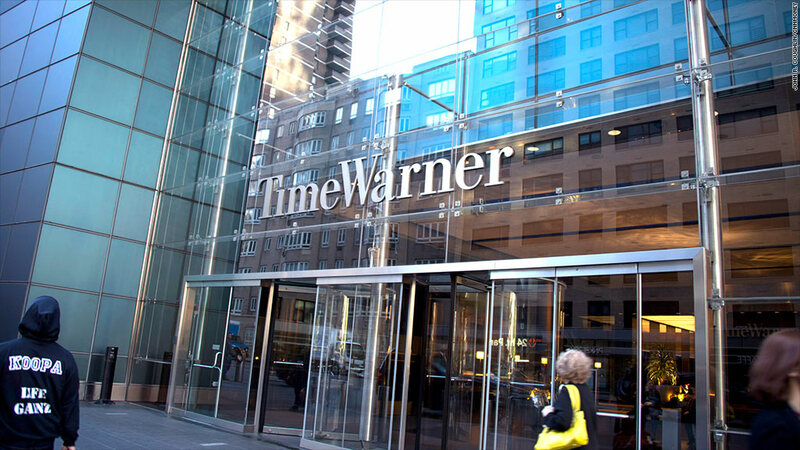 Major media stocks tumbled on Wednesday after Time Warner trimmed its profit outlook for 2016. Time Warner (TWX) ended the day down 6.6%, erasing nearly one month's worth of gains. Its rivals were also hit by a media sector sell-off: 21st Century Fox (FOXA) closed down 5.2% and Viacom (VIA) was down 6.5%. Disney (DIS), Comcast (CMCSA), Discovery (DISCA), and AMC (AMCX) all ended the day down markedly as well. Even CBS (CBS), which reported strong earnings on Tuesday afternoon, dropped slightly. Investors have been concerned about the effects of cord-cutting on media companies that rely on cable subscriber revenue. There was a similarly severe media stock selloff back in August after Disney reduced its profit forecast for ESPN. But Time Warner -- which owns CNN, TNT, HBO, and Warner Bros -- said Wednesday that its reduced forecast was mainly due to the effects of a stronger U.S. dollar, which weakens the company's profits that are earned overseas. New plans for technology investments will also be a drag on earnings. The company had previously expected to post earnings per share, or EPS, of close to $6 in 2016. Time Warner told the 10:30 am conference call that it would more likely be around $5.25. Time Warner CFO Howard Averill noted that the currency-related issues will "carry through into future years," meaning that the previous forecast of $8 in earnings per share in 2018 is now too rosy. The lowering of the guidance came on the same day that Time Warner impressed analysts with strong third quarter earnings. Revenues were up 5% to $6.6 billion and earnings per share were $1.25, well ahead of analysts' average prediction of $1.09. But Wall Street is focused on future quarters. Averill said that excluding the currency issues, "growth across international businesses remains strong." Ad sales were up internationally but flat in the United States in the third quarter. Because ratings at some of Turner's cable channels "have declined to a greater degree than we anticipated a year ago," Averill said, "that will negatively affect ad revenue" in 2016. Subscriber declines have been a bit more pronounced than expected, which is also taking a bite out of earnings. Third quarter earnings from companies like Comcast have not shown an acceleration of cord-cutting behavior, however. The vast majority of homes remain plugged in to some form of cable package, providing the foundation for businesses like Time Warner and Fox. On Tuesday afternoon CBS CEO Les Moonves said cord-cutting predictions have been "overblown." But there are big challenges -- like retaining subscribers and growing TV ad revenues. Time Warner telegraphed ambitious investment plans for the months ahead, which could result in hundreds of millions of dollars in spending. "We plan to increase our investments in new digital products and infrastructure so we can meet consumer demand for video and compete effectively across platforms," Time Warner CEO Jeff Bewkes said on the conference call. Averill also identified a "positive" for investors: "Cost savings efforts are ahead of plan and we remain focused on constraining overhead expenses." Disney will report its third quarter earnings on Thursday.